Thermo Modulyod 115 Bench Top Freeze Dryer Stainless Steel 24-Port Manifold Drum . New Life Scientific, Inc. The used manifold drum was removed from a Thermo Modulyod 115 Bench Top Freeze Dryer. 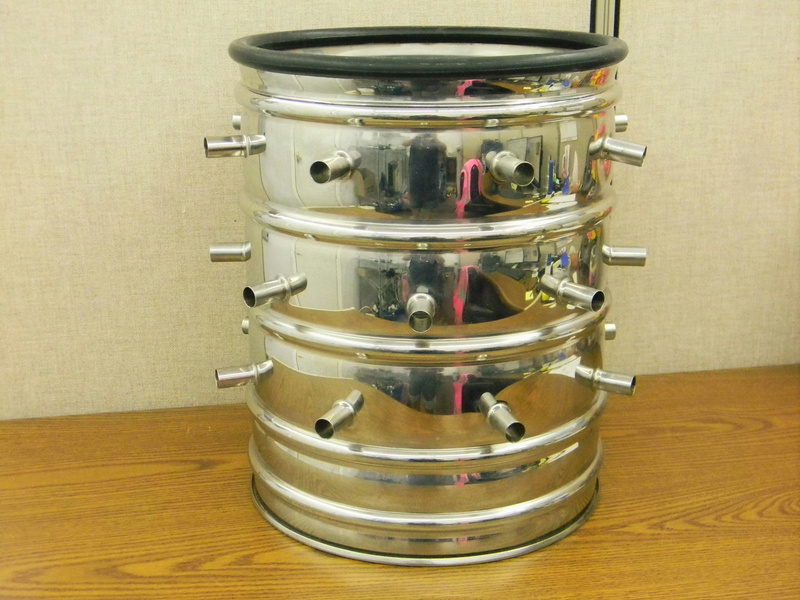 The drum features 24 ports and has a top seal, but lacks the bottom seal. There are minor cosmetic flaws that can be seen in the photographs. Used. This item may have minor cosmetic wear on it. But is fully operational and functions as intended.